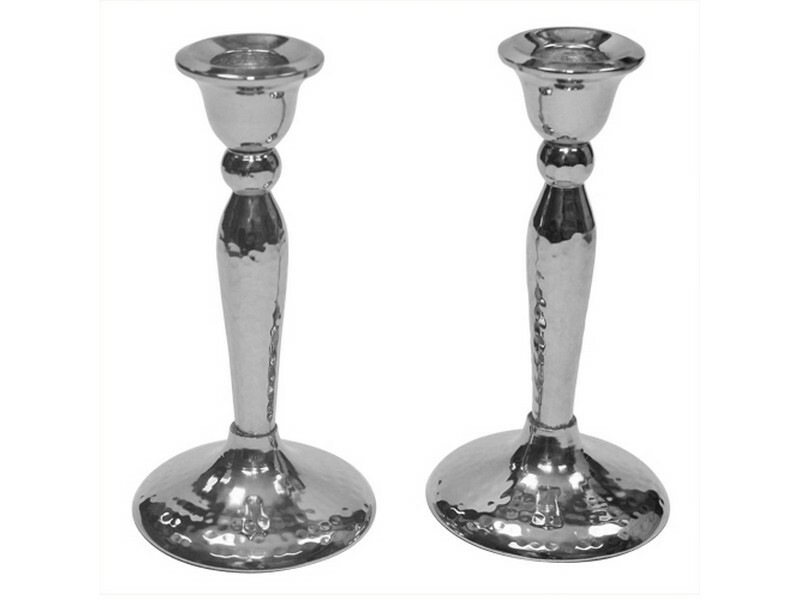 This set of two candlesticks will add beauty and distinction to your Shabbat and holiday table. Made of nickel, these candlesticks have a wide round base and a hammered look creating a beautiful contemporary piece. Standard sized candles or glass holders can be used with these candlesticks.